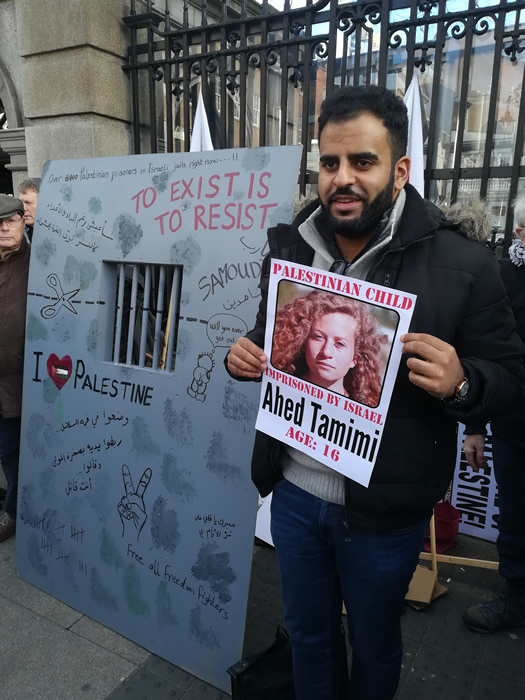 The Ireland-Palestine Solidarity Campaign, in association with Students for Justice in Palestine and United Against Racism organised a solidarity vigil to protest the imprisonment of Ahed Tamimi and all Palestinian child prisoners outside the gates of the Dail (Irish Parliament) at lunchtime on Thursday 25th January 2018. 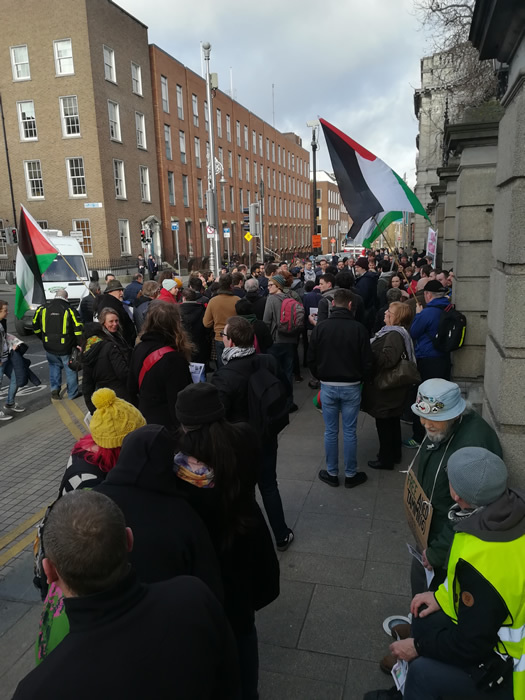 The protest was well attended with many members of the Irish parliament attending including TDs Dessie Ellis, Maureen O’Sullivan, Pat Buckley, Richard Boyd Barret, Gino Kenny, Paul Murphy, Aengus Ó Snodaigh, Maurice Quinlivan, John Brady and Joan Collins, and Senators David Norris, Padraig MacLochlainn, Alice Mary Higgins, Niall Ó Donnghaile and Grace O’Sullivan. 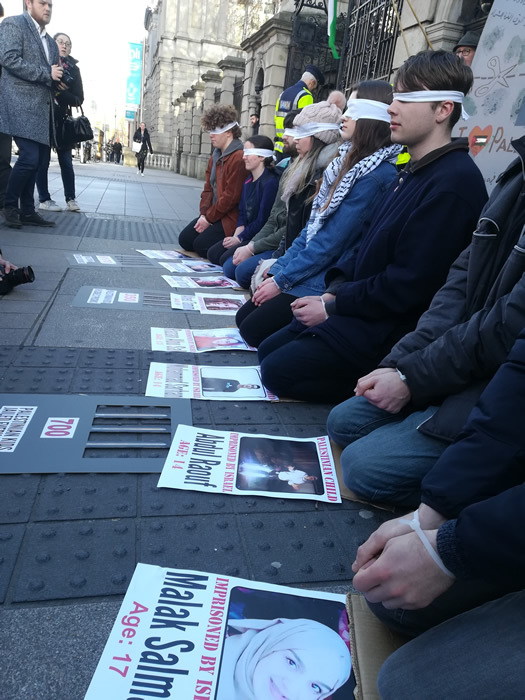 Ibrahim Halawa, the Irish citizen was arrested aged 17 and spent four years in an Egyptian prison, also attended. 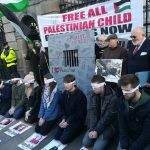 Each year Israel detains and prosecutes between 500 and 700 Palestinian children before apartheid military courts with a 99.74% conviction rate, and which Amnesty International states “do not meet international standards for fair trial”. Many more are temporarily detained, sometimes taken by soldiers raiding homes in the dead of night, and later released after severe interrogation periods without prosecution. 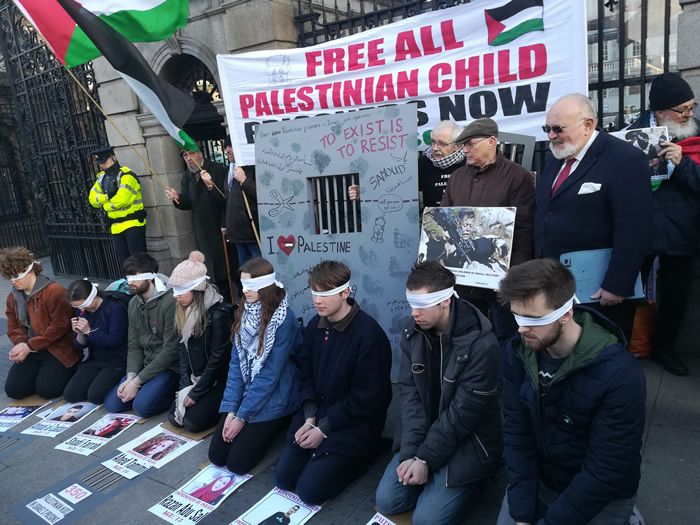 According to Defence for Children International Palestine, some two-thirds of all children detained will face some sort of physical or mental abuses, including torture and sexual threats, during this process. 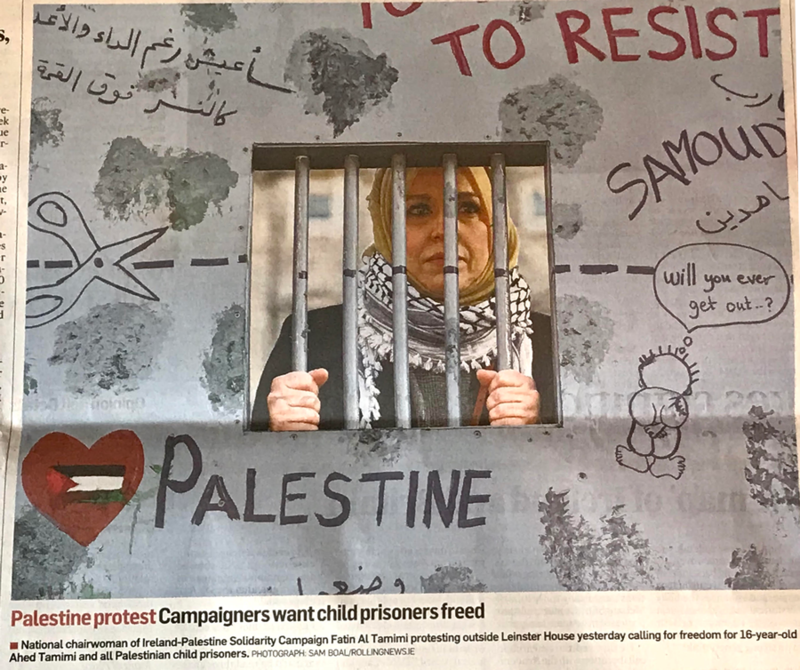 UNICEF says that “Ill-treatment of Palestinian children in the Israeli military detention system appears to be widespread, systematic and institutionalised”. 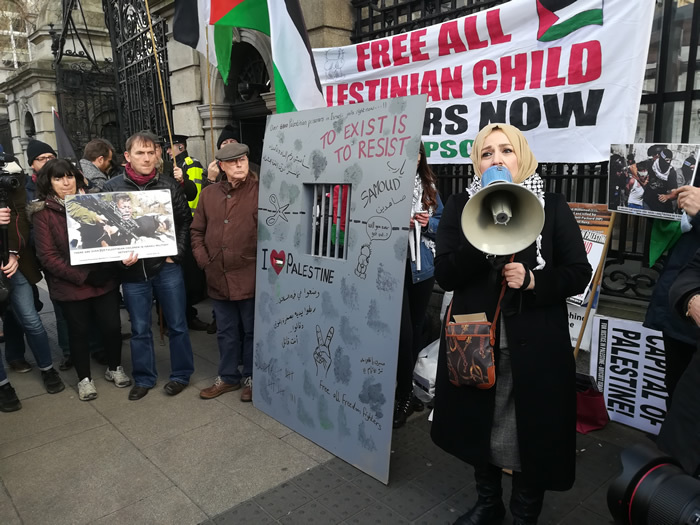 16-year-old Ahed Tamimi, detained and facing trial on trumped up charges for slapping an Israeli occupation solider who invaded her village, is one of around 350 Palestinian children currently in Israel’s prison system, most held outside of Palestine in blatant violation of the Fourth Geneva Convention. 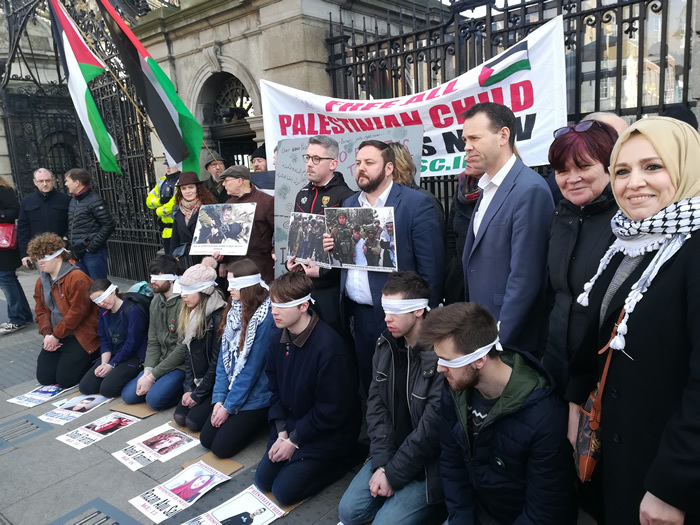 These experiences, not to mention the frequent killing and wounding of children by Israeli occupation forces, are traumatising entire generations; some argue that this is the point, that it is a conscious decision by Israeli authorities to treat Palestinian youth in this manner. 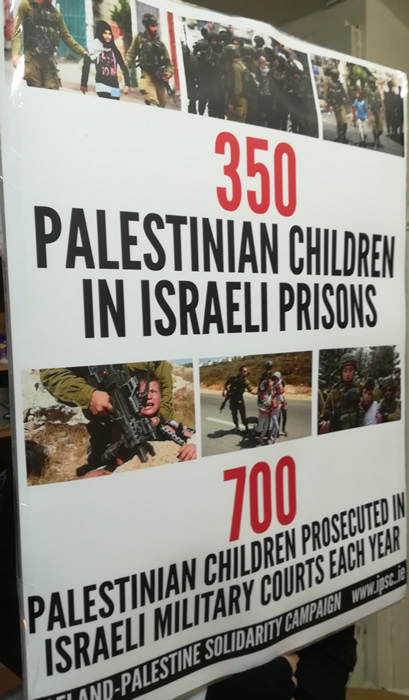 Over 12,000 Palestinian children have gone through the Israeli prison system since 2000, while nearly 2,500 have been killed and countless thousands wounded. In Gaza alone, where children have borne the brunt of three vicious Israeli assaults over the past decade, UNRWA estimates that “more than 300,000 children are in need of psycho-social support”. 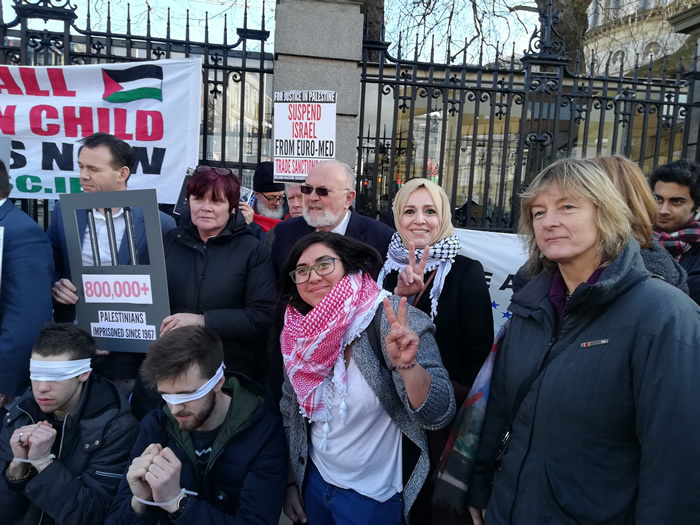 The list of institutions and human rights organisations that have raised grave concerns over Israel’s treatment of Palestinian is large, and the number of reports issued are countless; UNICEF, Save the Children, Human Rights Watch, Amnesty International, Defence for Children International, Al Haq, B’Tselem, Public Committee Against Torture in Israel, Addameer, numerous delegations of lawyers and experts, and so on.